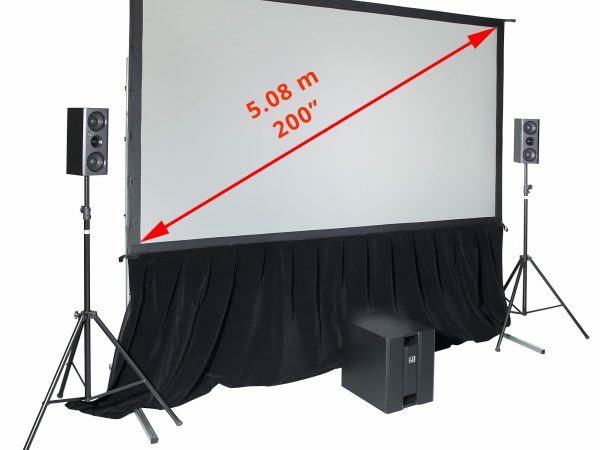 The 3.04m portable indoor movie projector screen system is just what you need to be able to cater to a range of people from 10 to 100 in an office, hall or in your home. 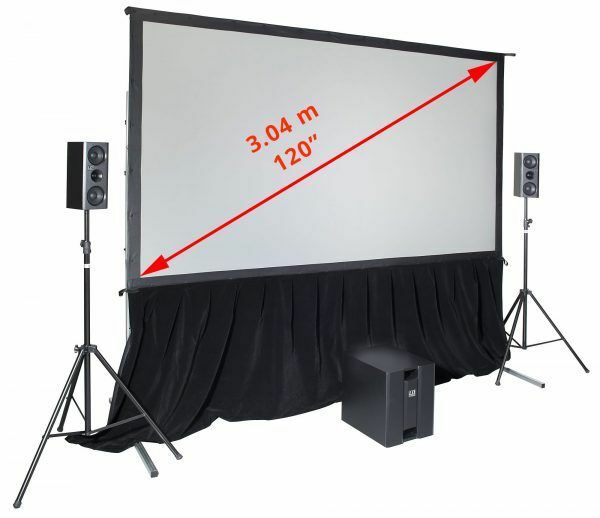 Projection system includes the screen, both front and rear projection surface, LD speakers with subwoofer, projector and Smartbox Gold® multi-media control device. The screen is easy to set up – check our video for details.